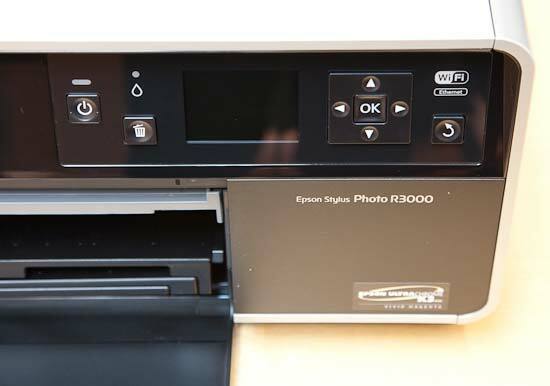 Way back in 2008, Epson released the Stylus Photo R2880, a 13-inch / A3+ printer using its latest UltraChrome K3 inkset. 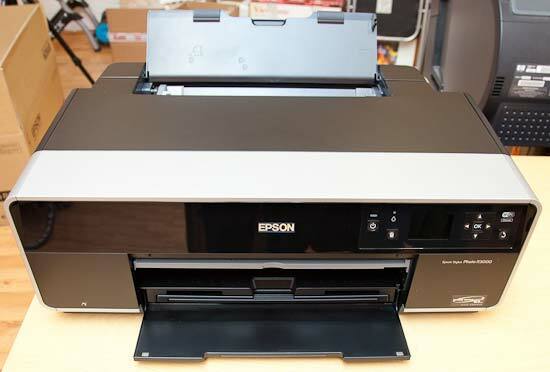 This model offered a few improvements over the older 2400 printer that it replaced, thanks to new Vivid Magenta and Vivid Light Magenta inks which increased the color accuracy and gamut of the printer, and direct printing to CD/DVD media. The R2880 still didn't offer what a lot of photographers had been asking for, though, namely support for Photo and Matte Black inks being installed at the same time. 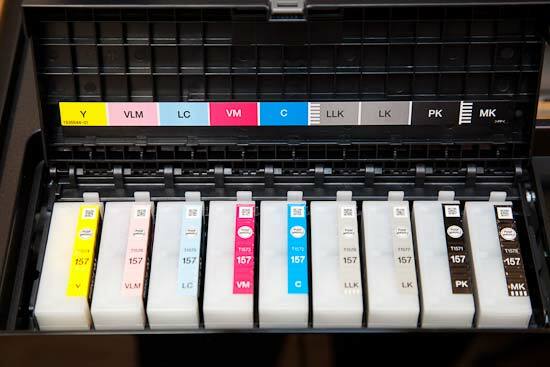 This led to a lot of swapping of black cartridges when going from one type to the other, and therefore a lot of wasted time and effort if you routinely printed on different media. 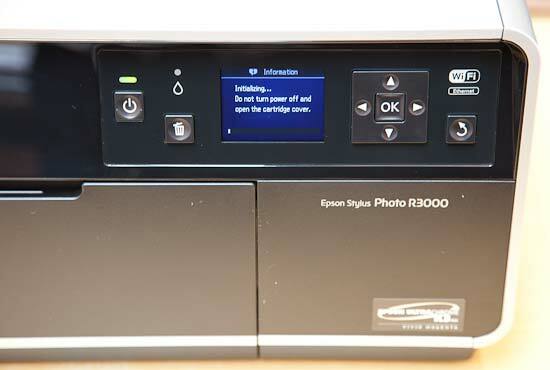 Thankfully the R3000 has both the Photo and Matte black inks installed at the same time, just one of the major enhancements that it offers, although they still share the same ink path and therefore require an automatic swap routine that flushes the ink out of the system (wasting up to 3ml of ink each time). 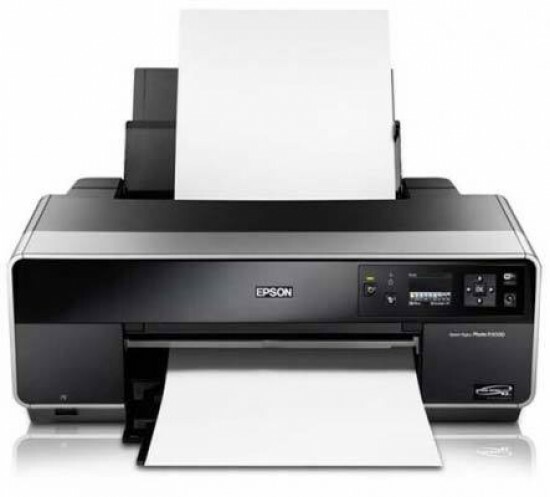 Chief amongst the R3000's other attractions are the much bigger 25.9ml ink cartridges, compared to the R2880's 11ml cartridges, and the greatly improved media handling for fine art media up to 1.3mm thick and roll paper up to 44 inches long. 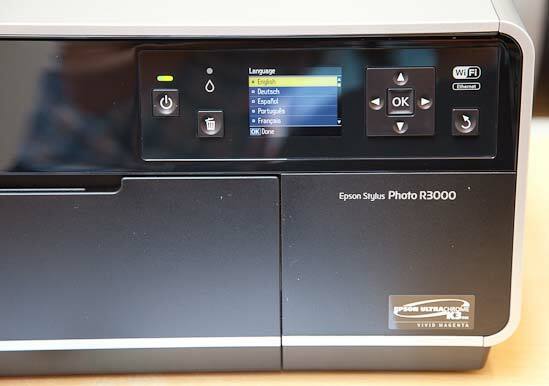 The R3000's redesigned print head has a maximum resolution of 5670x1440 dpi and variable-sized droplets as small as 2 picoliters (versus the R2880's 3 picoliters), and there is also Ethernet and wireless-N connectivity in addition to USB 2.0. 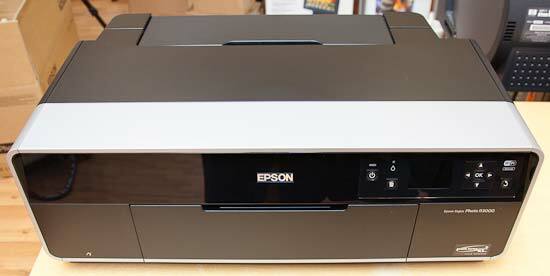 The Epson Stylus Photo R3000 costs $849 / £699, with individual ink cartridges costing $25 / £25. The older R2880 is still available as the next model down the range. 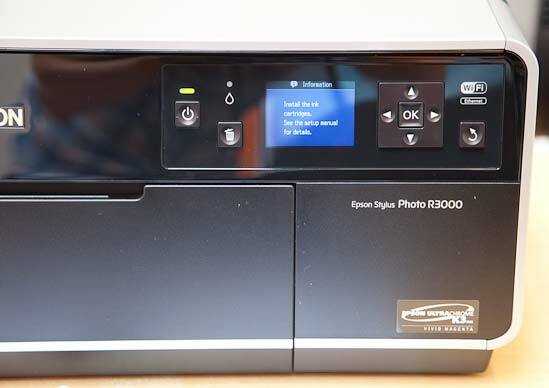 Note that this is a review of a full-production version of the Epson R3000, not the early pre-production samples that several other websites have tested, and is therefore indicative of the final shipping quality. Setup is relatively quick and very straight-forward. 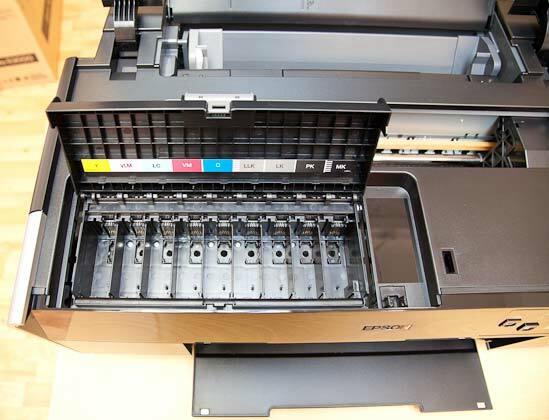 After unpacking the R3000 from the large box and removing all of the tape and packaging materials, which took around 10 minutes, you plug the printer in and follow the instructions to insert the 9 ink cartridges. 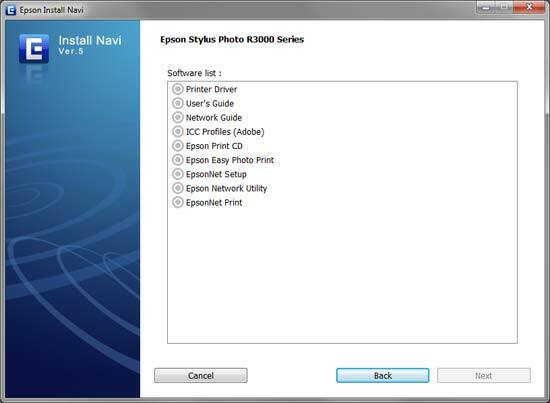 While the R3000 charges the print head (another 10 minutes), you can install the software, including the printer drivers, user guides, ICC profiles, Epson Print CD, Easy Photo Print and and Epson Net programs. 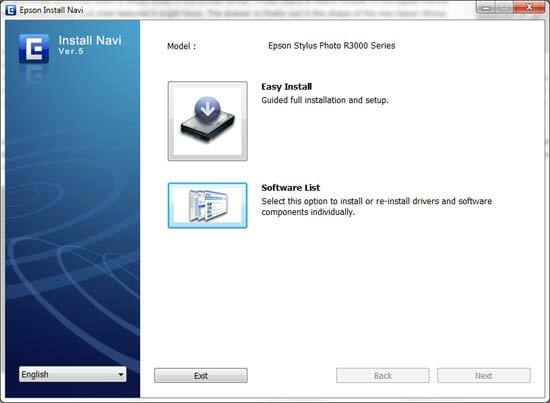 You can choose not to install Epson Print CD and Easy Photo Print. 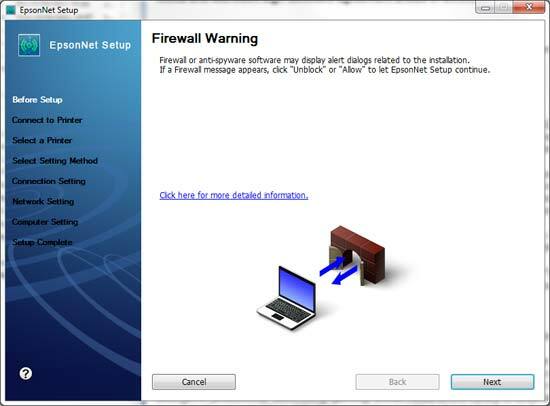 The software installtion took, yes you've guessed it, a further 10 minutes. 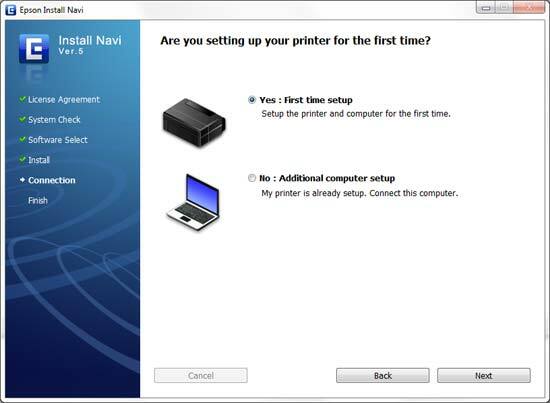 During the installation you'll be prompted to connect your computer to the printer. 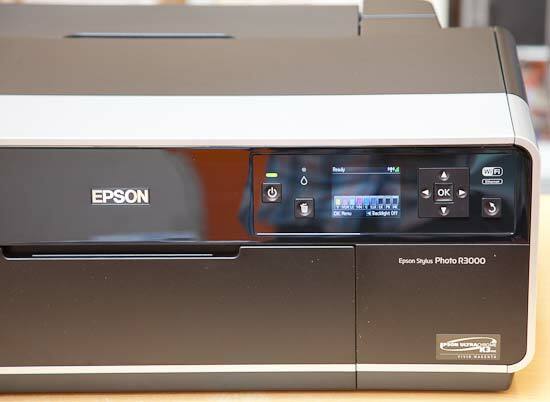 The R3000 has a USB 2.0 port which provides the most traditional connection, and also a very welcome Ethernet port, just like Epson's larger printers, which allows the R3000 to be shared across your network. 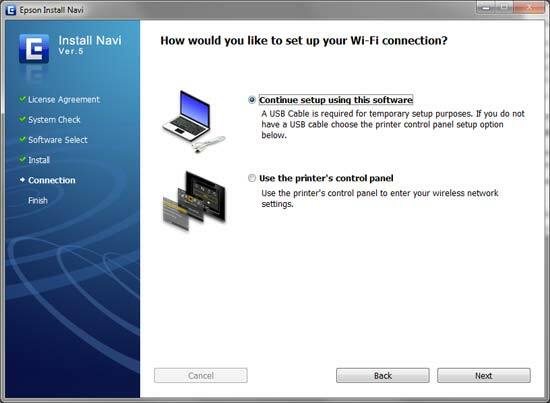 Perhaps even more useful for the R3000's target user, Wi-Fi connectivity is offered, which is the option that we chose during installation. 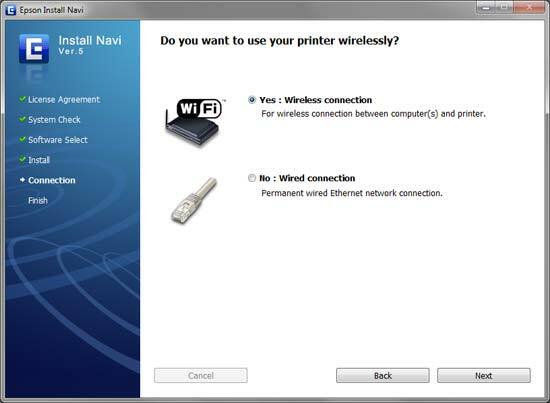 Setup was very easy, with the ability to enter your wi-fi settings directly via the printer's LCD screen, removing the need for any physical connection to your computer. 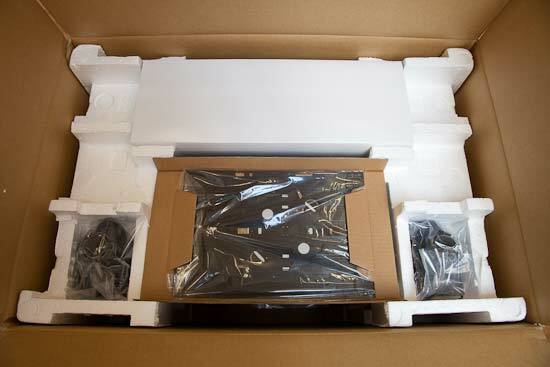 In total, the setup process took around 45 minutes from unboxing the R3000 to establishing a connection and sending the first print on its way. 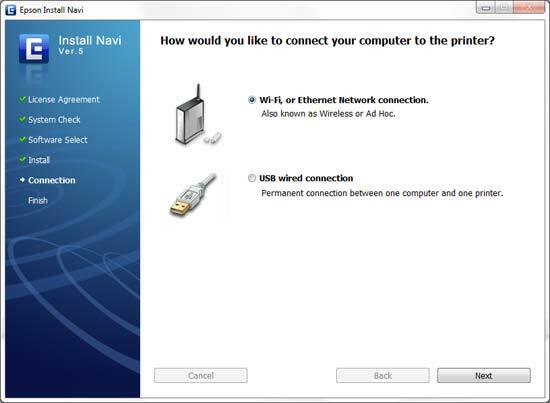 The brief printed instructions provided enough information to get us up and running with no problems at all. 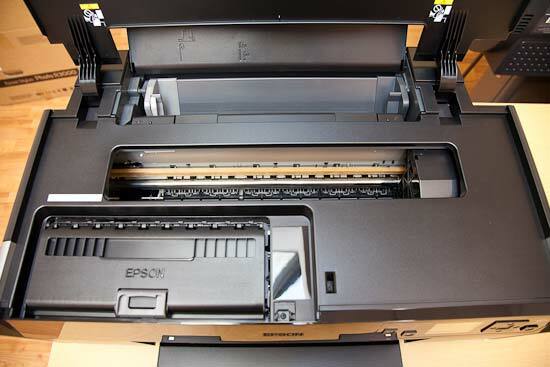 The R3000 is quite a large printer at 24.2" x 14.5" x 9" (W x D x H) and 35lbs, with an extra 10 inches of space required at the rear if you use the front speciality paper feed, so you'll need a large, sturdy desk or surface to support it. 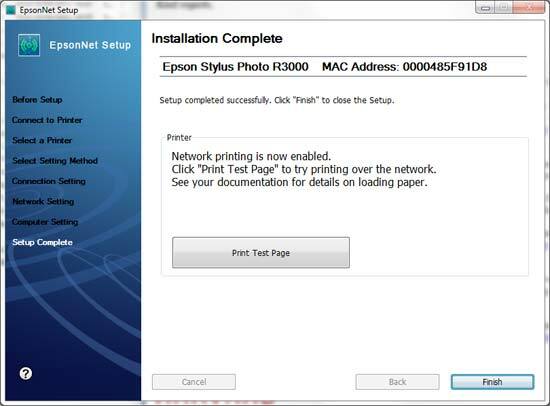 Figure 12 - Printer Ready!